Richa is a seasoned immigration attorney with over 16 years of experience representing individuals & businesses across immigrant and non-immigrant matters, including H-1B petitions, green card applications, naturalization and removal/deportation defense. Richa is a graduate of the Pace University School of Law. Richa received her Bachelor of Arts degree in Psychology from the University of California at San Diego. She is admitted to practice law in New York. She is a long standing member of American Immigration Lawyers Association (AILA). 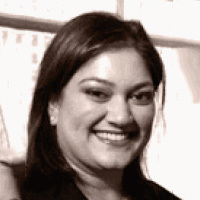 She was a presenter at the 2010 “National Organization of Minority Architects” (NOMA) Convention where she conducted a seminar titled “Immigration Strategies for Employers.” Additionally, she also conducts monthly pro bono immigration clinics for SAKHI, an organization that assists victims of domestic violence. She was honored with a Humanitarian Award for her work with SAKHI. She is considered an expert in her field. We retained Richa to file my green card paperwork (through my wife, who is a green card holder). I was already here on an H1B visa at the time, but the process is much faster through a spouse. Richa did everything for us – from preparing/assembling/filing the application package to prepping us for the interview. She kept us informed throughout the process and overall, it was a pretty stress free experience for us. It took about 2 years from the time we filed to the time I received my green card. You are in good hands with Richa! What times would you like to speak with Richa Puri?